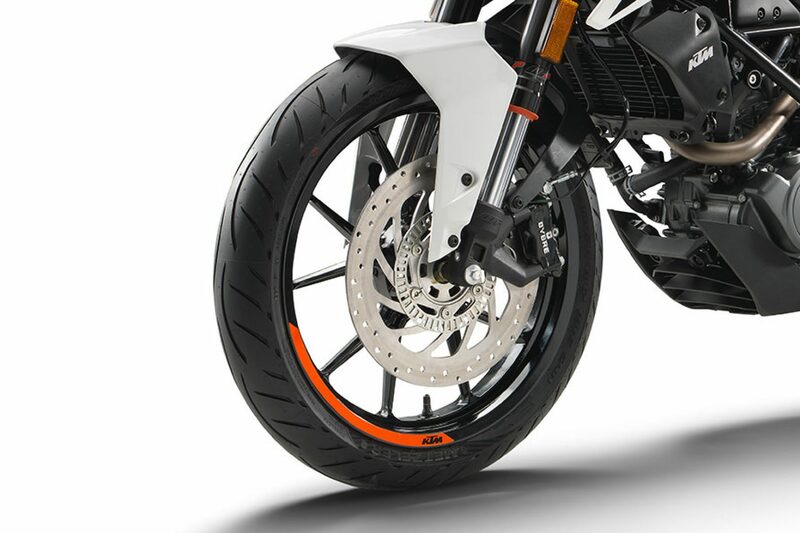 The KTM 125 DUKE may be the entry-level bike of the range, but it isn’t here to play games. It’s built with the same attitude as the bigger bikes – and it shows. 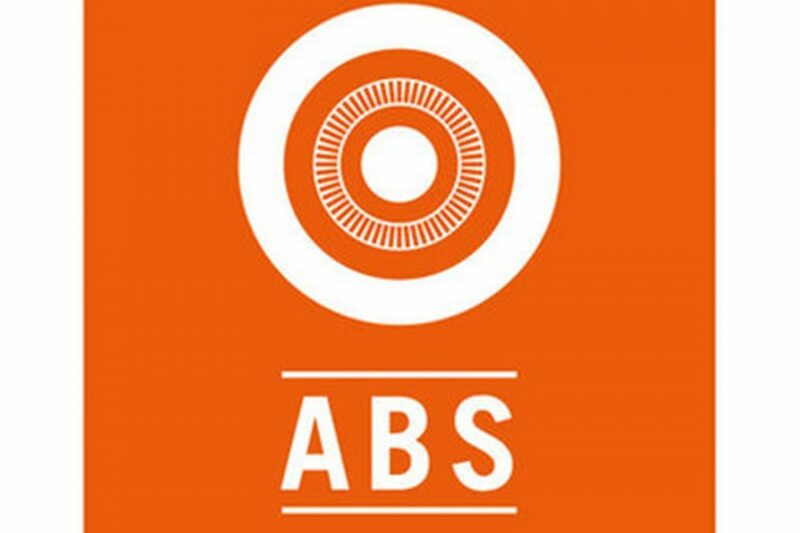 It’s no holds barred with this urban warrior. 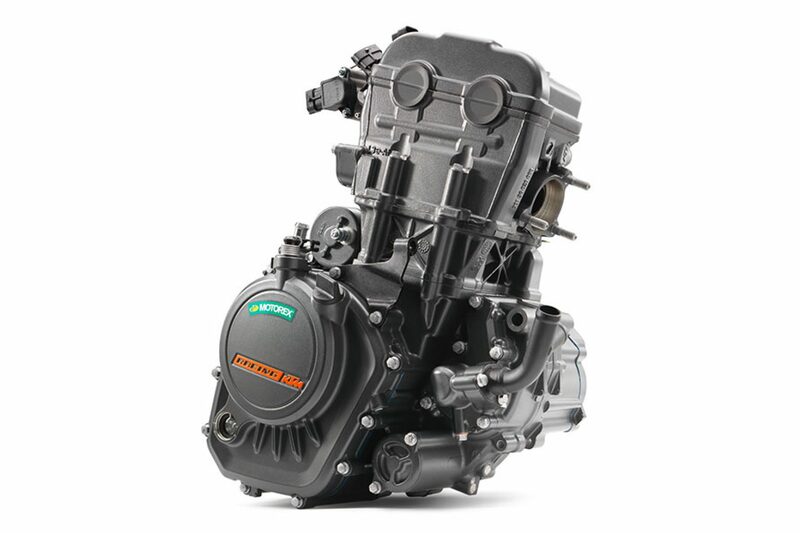 This 4-stroke single cylinder has fuel-injection and a 6-speed transmission to deliver class-leading performance with low fuel consumption to keep you riding longer. 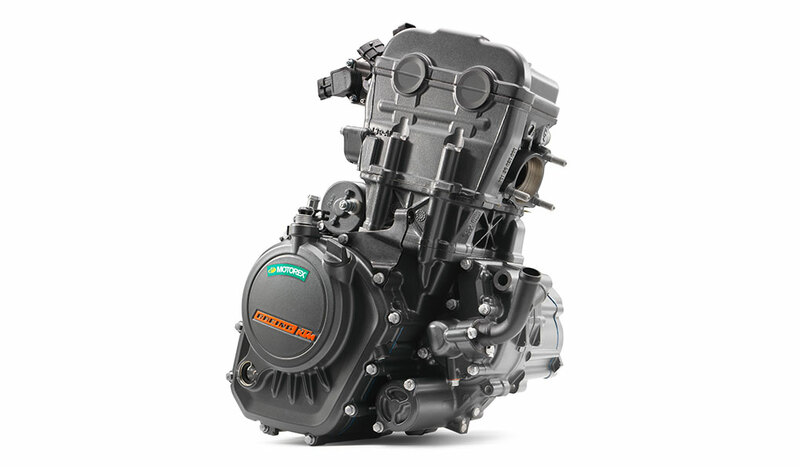 A state-of-the-art, liquid-cooled, single-cylinder 125 cc engine drives The Spawn of the Beast. 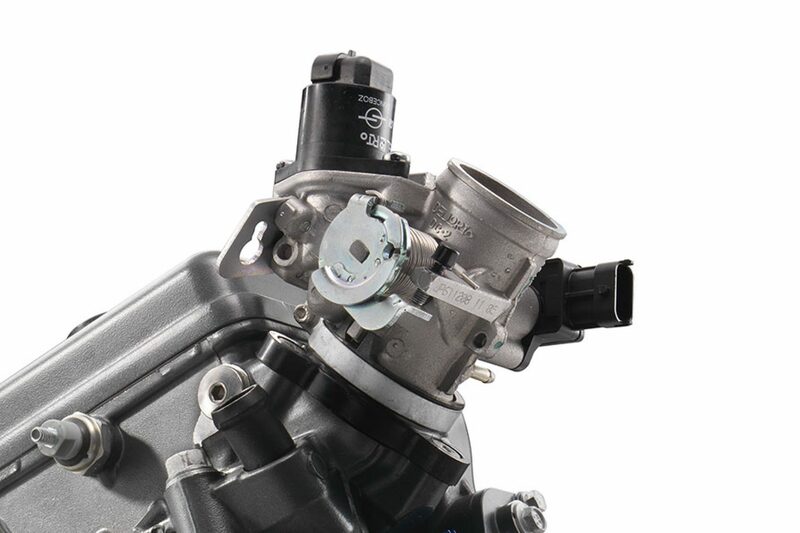 Twin overhead camshafts, four valves and electronic fuel-injection contribute to its class-leading performance and thanks to the balancer shaft, the power is delivered with the highest levels of smoothness. 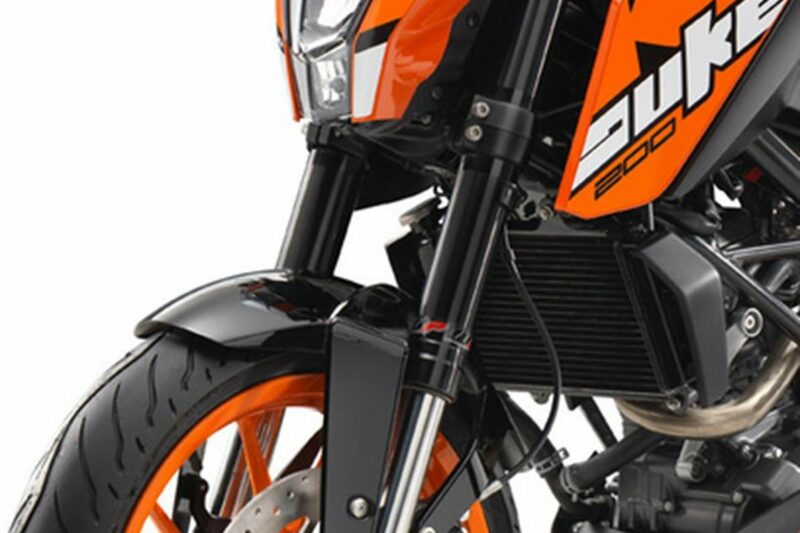 The intricate engine design, state-of-the-art injection electronics and the close-ratio, 6-speed transmission not only help the KTM 125 DUKE to achieve impressive performance, but also extremely low fuel consumption. 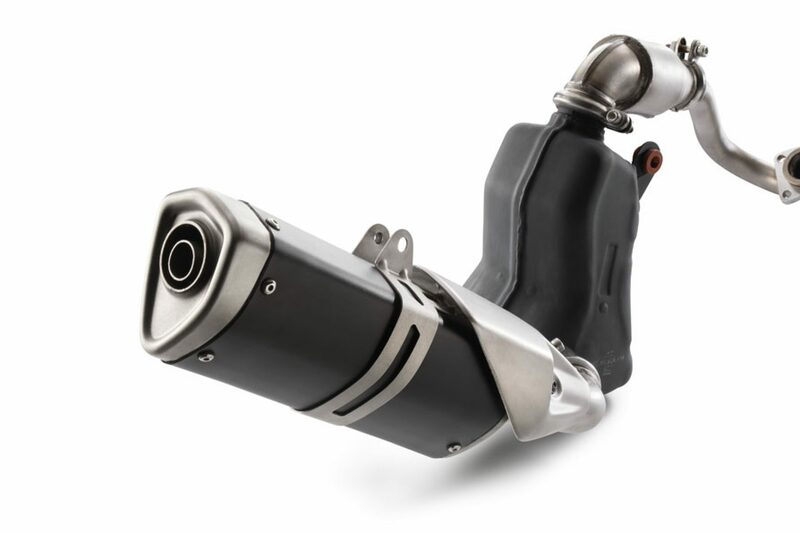 At the same time, thanks to the regulated catalytic converter, it produces only minimal emissions. 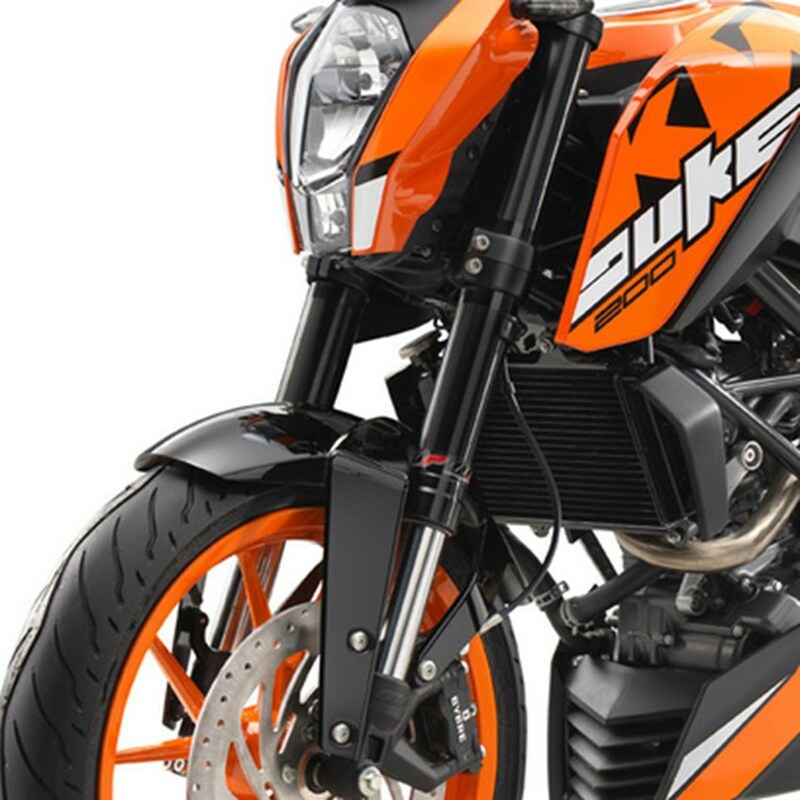 In order to meet the latest Euro 4 emission restrictions and sound regulations, the 125 DUKE is equipped with a side exhaust, including link pipe and silencer. 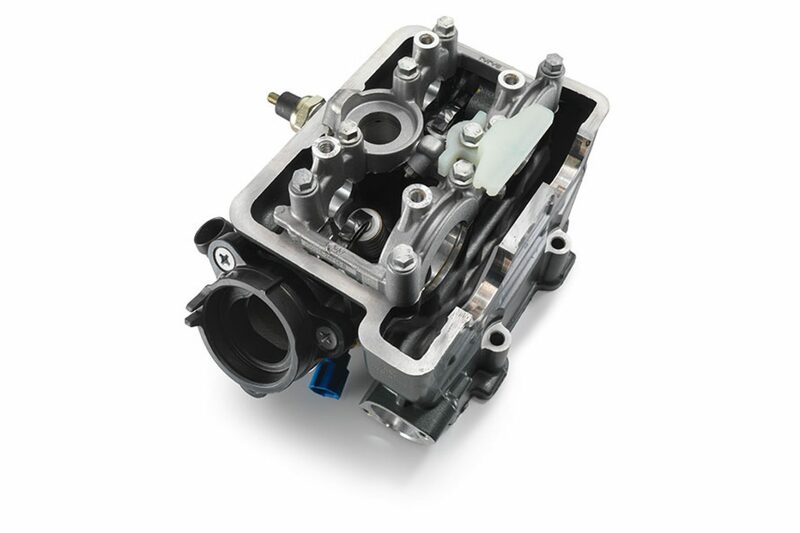 Exactly like they do in the 1290 SUPER DUKE R, the four valves in the cylinder head of the 125 DUKE are actuated by two overhead camshafts and ultra hard, carbon coated cam followers, providing reliability and longevity despite the engine’s high power output. 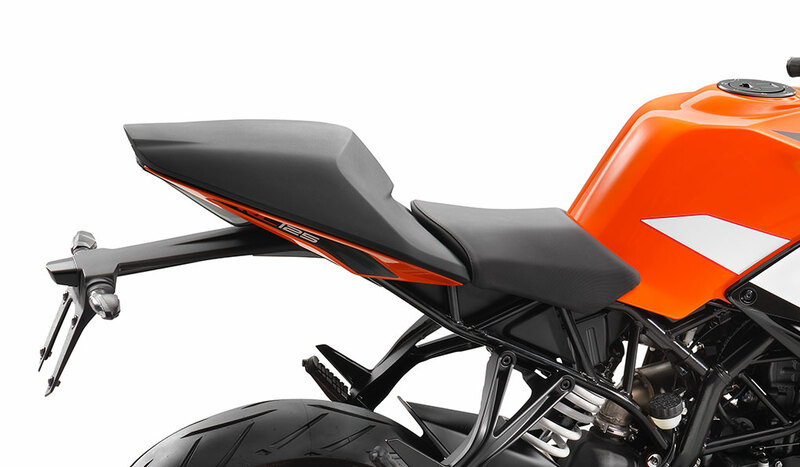 The KTM 125 DUKE’s chassis has a characteristic, lightweight steel trellis frame, turning this bike into a street surfer through the bends. 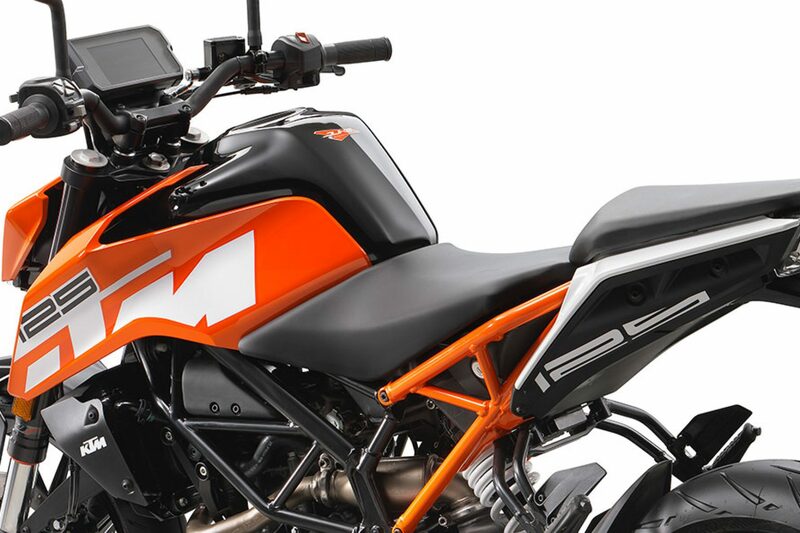 Masses grouped close to the center of gravity maximize maneuverability and precision – preparing the 125 DUKE to win the rush hour slalom, day in, day out. 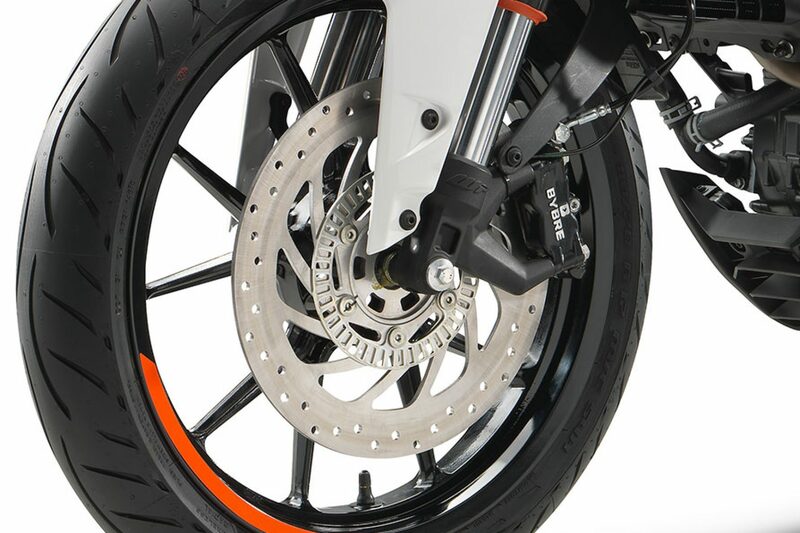 The 13,4 l steel fuel tank not only provides the rider with perfect knee contact, but also with a long range. 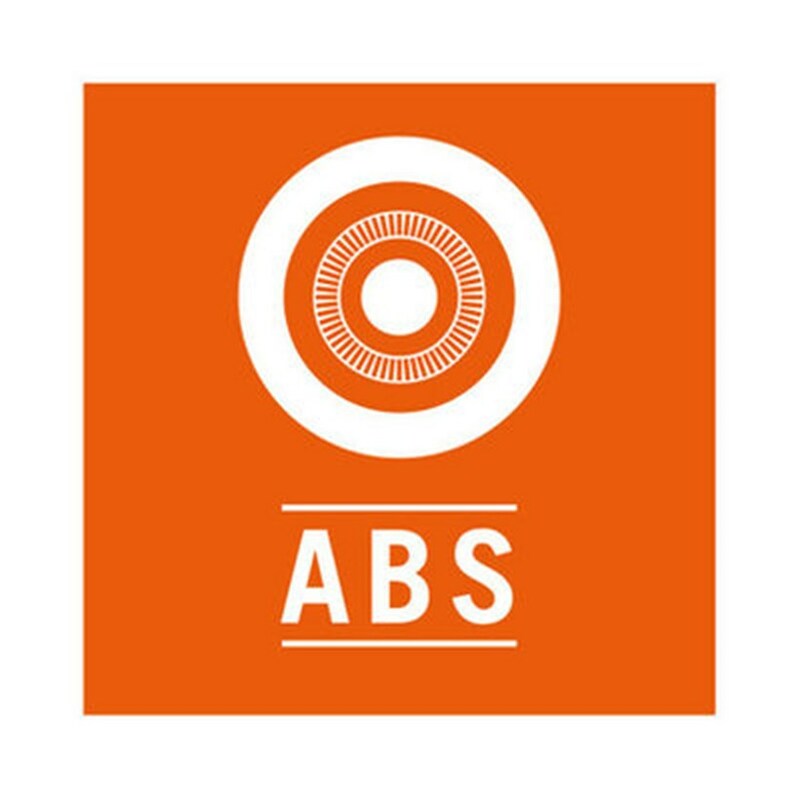 Even when you ride as fast as you dare, thanks to its extremely economical engine. 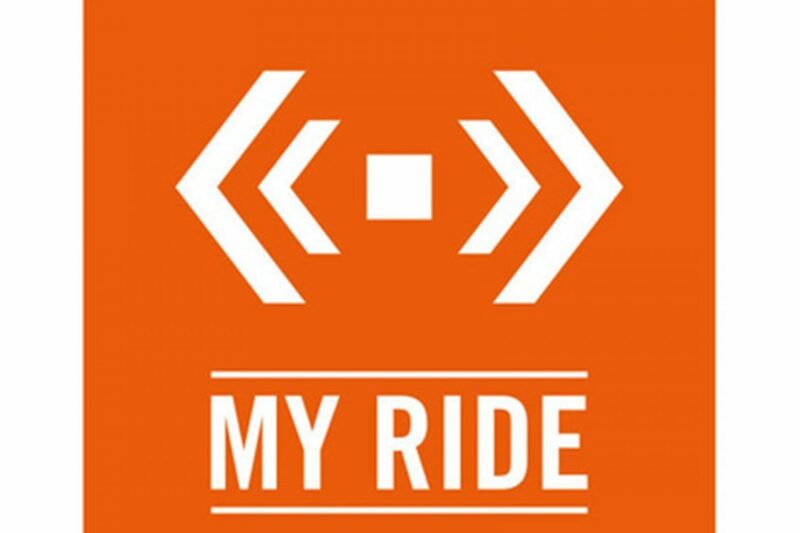 The KTM 125 DUKE provides you with more than enough freedom of movement to keep you feeling relaxed, whether you’re riding alone or two-up. 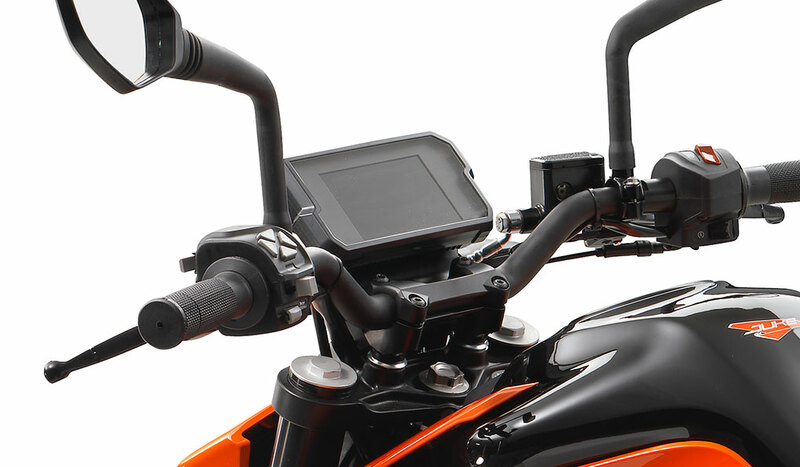 Feedback from the road is maximized by large contact surfaces keeping you in touch with the bike. Make every turn an attack. 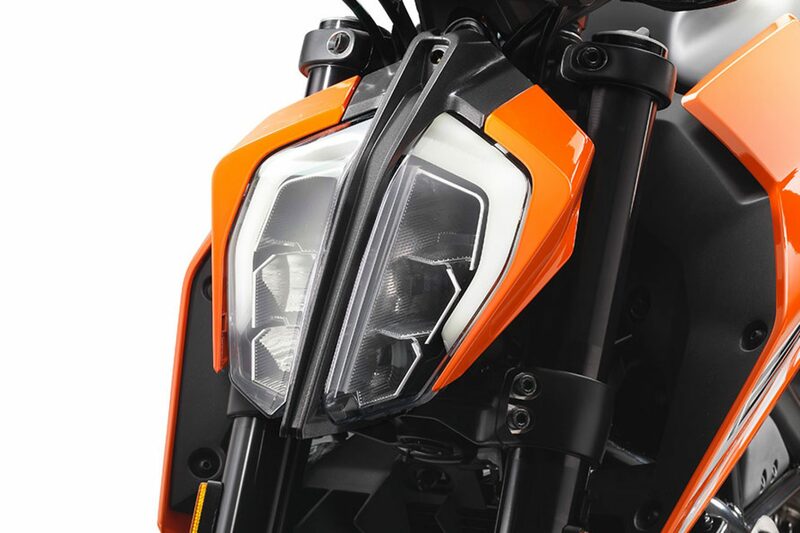 Spawned from the look and feel of “The Beast”, it’s no surprise that from the very first impression, the KTM 125 DUKE has a look about it that sparks fear in those against, rather than with it. 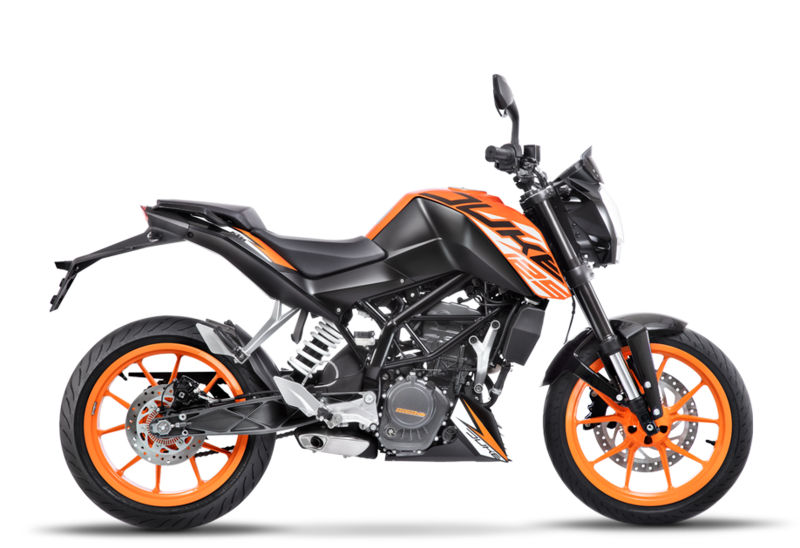 But with a big-bike feel, steel fuel tank and various high-quality cast parts, you know that there’s nothing to fear once you’ve taken a seat. 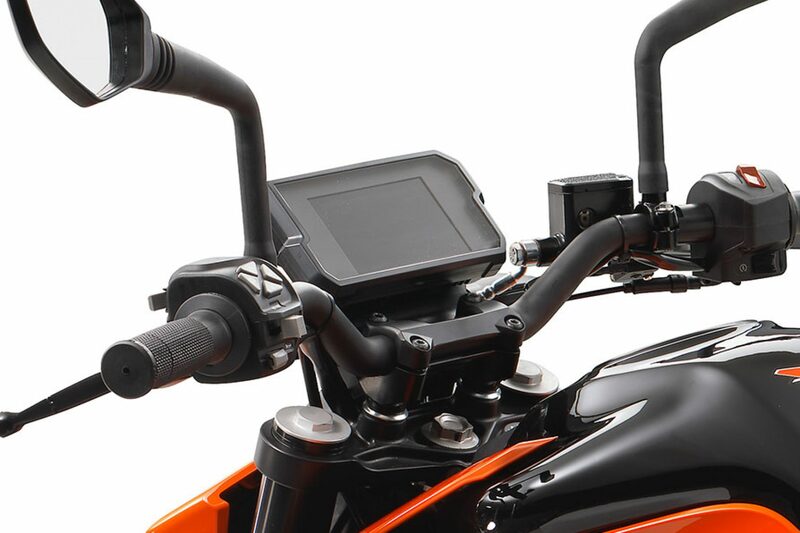 The KTM 125 DUKE is laced with high-end technical components, ensuring the best quality standards while maintaining the safety and efficiency of the ride. 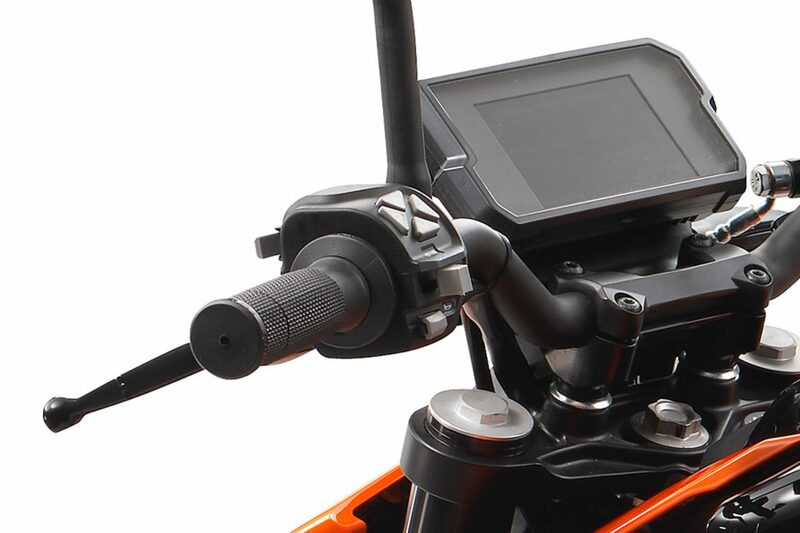 KTM knows its customers; they are aware that people like to modify, as much as they like to race. 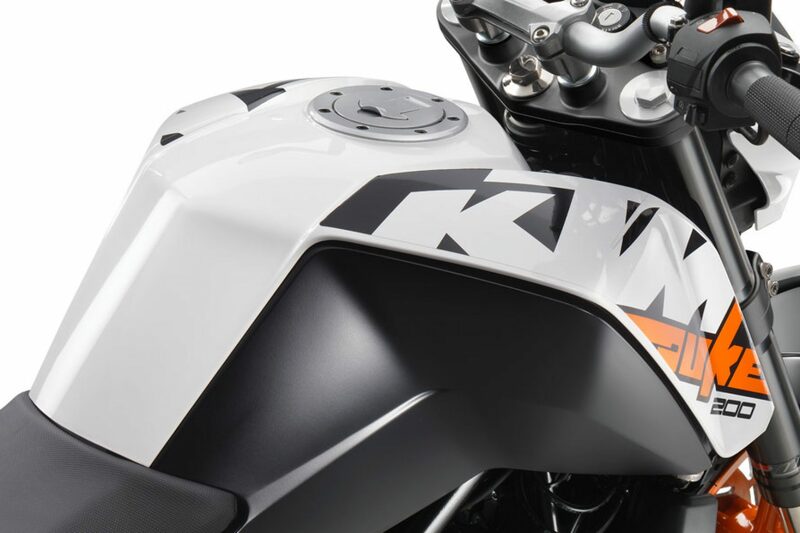 This is why the KTM PowerParts range boasts a huge variety of accessories and luggage options across its Street range of sport motorcycles – past and present. 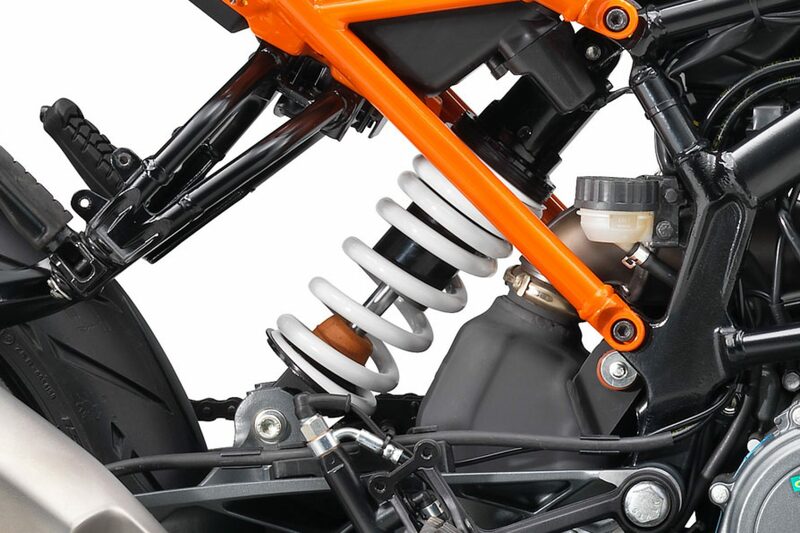 All KTM PowerParts are developed alongside their chosen machine, meaning that KTM riders only get parts that perfectly complement their ride and provide the same ‘factory fit’ straight from the dealer.